Early April, I travel to Saigon with my Last Sis for first time. Yup! first time travel with somebody after years traveling with just me. This trip not really plan. Just one ad hoc travel for the sake feel like getting out of Malaysia. Oh! WTH! I sounded like so rich woman huh? Reached at Saigon Airport, we were greeted with crowds of young girl with all those banners. I was dragging 'fat bag' out while my eyes busy looking for signage for 'CINDYRINA'. My sis with her 'bloody heavy' bagpack...and she was busy looking at the line of girls waiting anxiously for somebody important to walk out from international arrival. Me : huh??? vietnamese band ke? Me : Who is that??? M-Tiful? Oh wow! they are my style!!! My sis : Sapa ni? tak kenal pun??? Me : isssshhhh...where is our driver??? My sis : Cepat kena pegi hotel...nak google sape M-Tiful nih? Found our driver...then in the car. Me : I should walk out and wave like star just now.WTH!!!! just miss my once a life time chance! My sis : apa laaaaaaa... faster reach need google who is M-Tiful??? We reached hotel almost late afternoon...rest a while then out to survey what nearest to our place. Damn...we both so culture shock! Crossing the road is like suicide!!!! The traffic was worst than Hanoi! 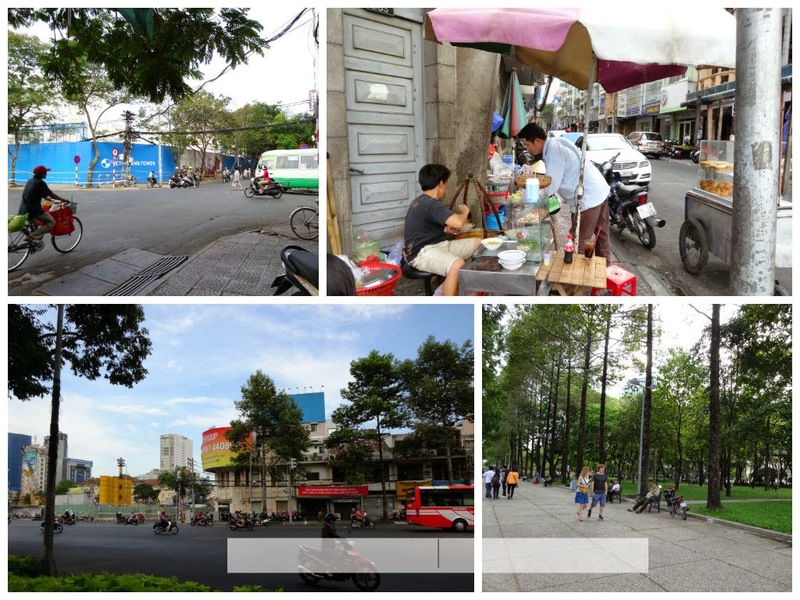 If in Hanoi, I follow local to cross the road but here the road was like 3 lanes size...how to follow people???? I really hate crossing the road! Both...well mostly me...I can't shut my mouth while crossing the road. All crossing with......Ommmaaaaaa!!!!! Arrrrgggggghhhhhh!!! Eiiiiiiiii!!!! I have that goosebumps evertime crossing the road. 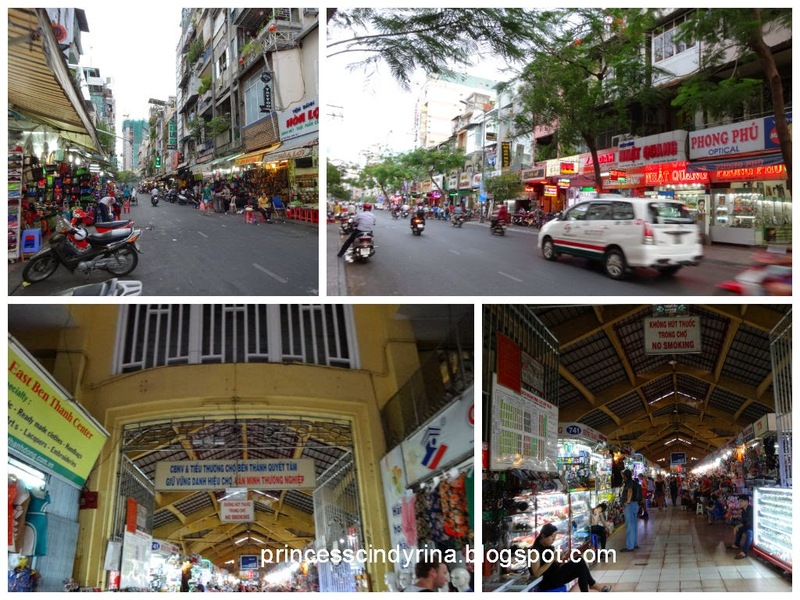 While walking towards Ben Thanh market from Hotel need to cross the big road. Everyday need to walk cross this big road and garden. 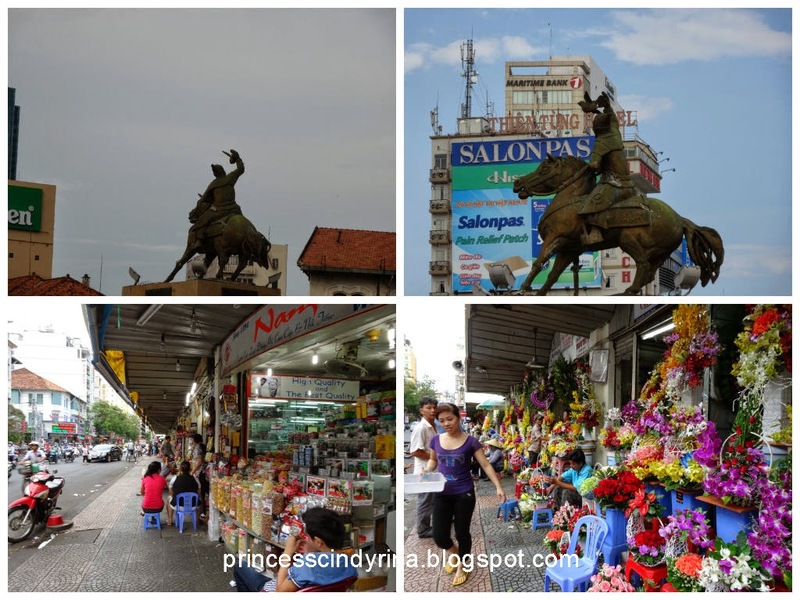 One you see that man riding horse...and flower market than you know that you are now near Ben Thanh. Walk and walk...my sis asked me..
My sis : Where exactly we are going now? Me : don't know...let us have that Chatime moment. Me : Do you accept US Dollar? The Saigon Guy : arrrrrrrrr??? Me : OK! Viet Dong only??? The Saigon Guy : card! card! Me : (just for Chatime I gamble my card here....nay!!!! ) ok ok ...I use Dong. So...what good here??? The Saigon Guy still look puzzle. Then me show thumb up to him and show menu. The Saigon Guy pointed out Sakura Sencha...something like that. My sis go for Green Tea with Red bean. 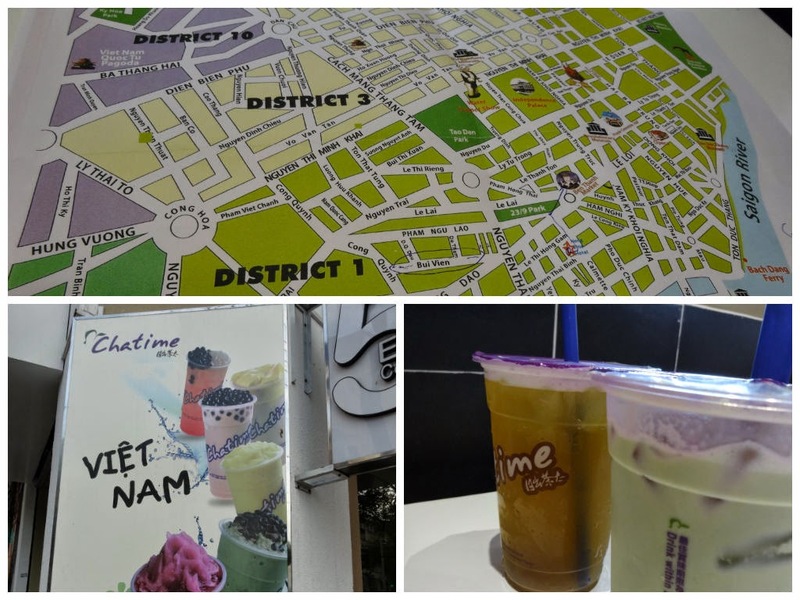 The Saigon Guy : Sugar??? Me sip it...WTH! I just ordered??? Sakura Sencha...what is this...bitter and don't know what taste. My nostril blooming like flower while sipping that drink. Me : Sakura is beautiful flower but this drink taste suckssss!!!!!!! !Plain water taste a lot better! You want both of us to shop here???? Yup yup...both have same thoughts at once. Our parent must be very proud to both of us. Both really not that kind of shopper. We don't really know what to buy or even how to buy thing if we don't know what is the reason. Basically both not a shopper at all. My sis : Issshhhh...I don't know how to to do this? My sis : But to our parent ? we need buy something right??? Me : It is must???? don't buy cannot? Me : mmmmmmm...first day only la...let us build up our courage first.Now let us go find dinner. My sis : mmmm...you are right! first night only...ok dinner first.but where??? 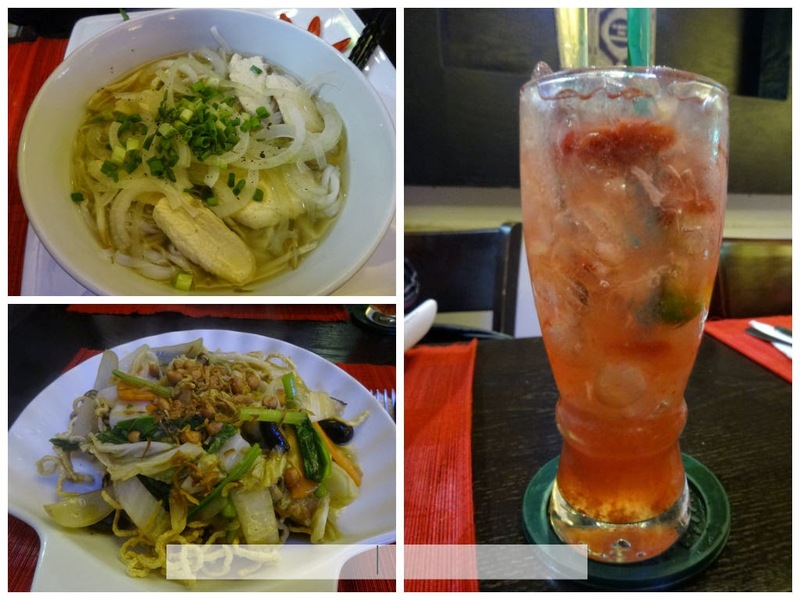 After walking up and down up and down on the same street then we decided to go in this Salima Vietnamese food. Yup yup...my sis happily printed this out from don't know other blogs ...I guess. finished our first night dinner...then walk out the street vendors was busy preparing to open their stalls.Yup! 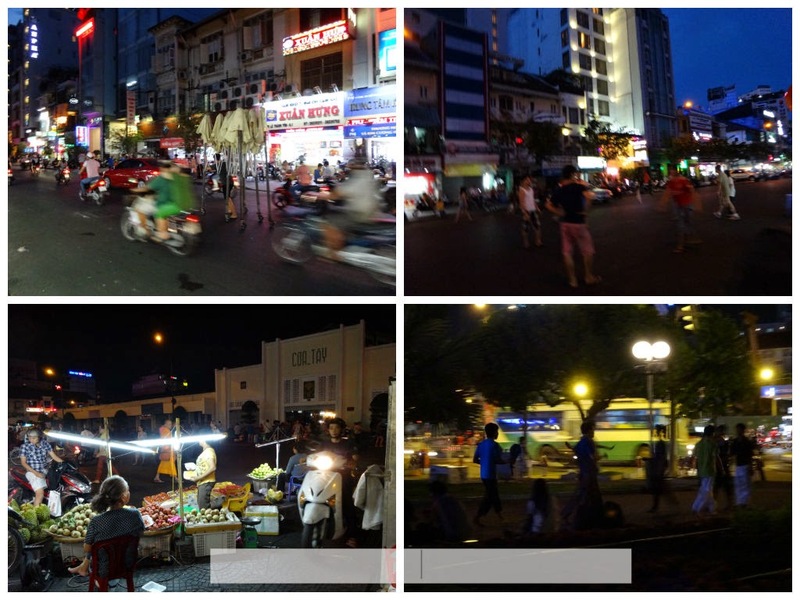 night market in front of Ben Thanh Market is opening soon. Amaze with Viet people...they really fully utilise the field to the max. Seriously. 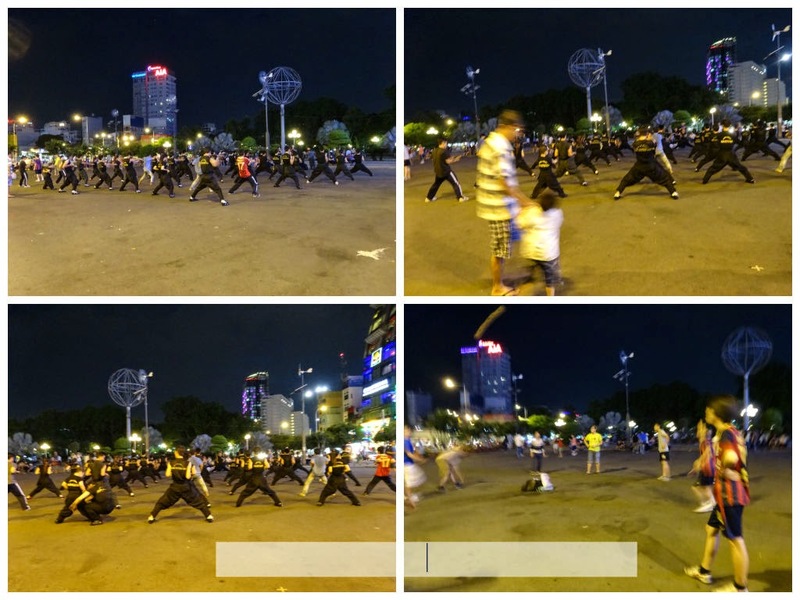 jaw dropping see how they make use of that field in front of Ben Thanh market at night. no wonder the are thin and look fit. My sis : Want to see M-Tiful MV? Me...peep in her mobile phone. Me : aissshhh...cannot beat Big Bang and Boyfried la..
My sis : Apparently this M-Tiful Duo is very popular in Vietnam. Me : Is it???? I go shower first!!!! gigih membaca sampai bawah semata-mata sebab nak tau siapa m-tiful. sekali tak dpt jugak jawapannya. gugel sendiri jek. heheh..
biasanya awk travel solo ke/ cool gile. sirap limau tu tak mcm mesia punye. tak cukup merah tak gitew. 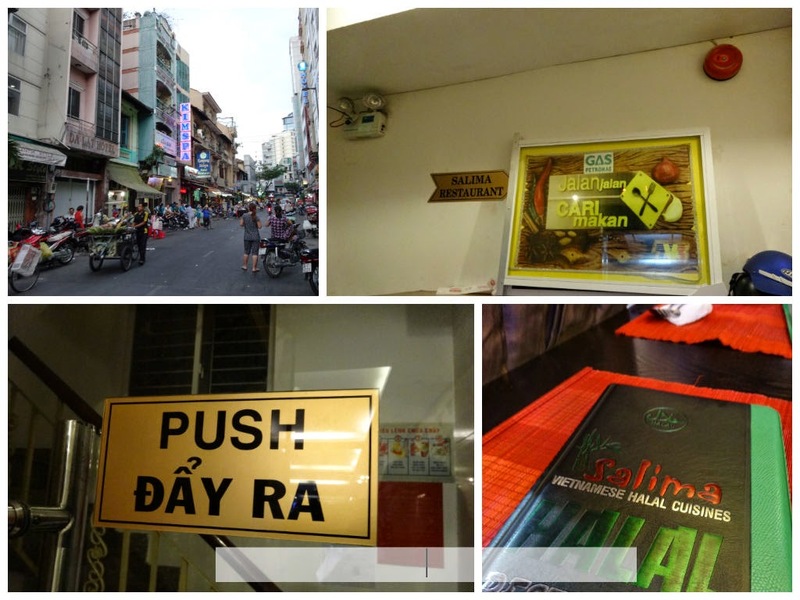 Kalau suka shopping then pegi Saigon. Tapi kalau suka sight seeing macam saya...saya prefer Hanoi! Hanoi is cooler weather! Hahaha, you and your sis are so, so cute. I pun tak tahu apa itu M-tiful but claimed to be kipas susah nak mati of K-pop konon, eh, no...korean dramas only.